Johnson Hall believes that the arts are an essential part of life and they naturally enrich all those who participate in them. We are dedicated to helping young people find what sparks their interest in the performing arts and giving them the best possible instruction to guide them along the way. Spark offers three different classes that range from beginner to advanced to meet the needs of students with a variety of skill levels. If you have never been on the stage or you are a theater veteran there is a Spark class for you. 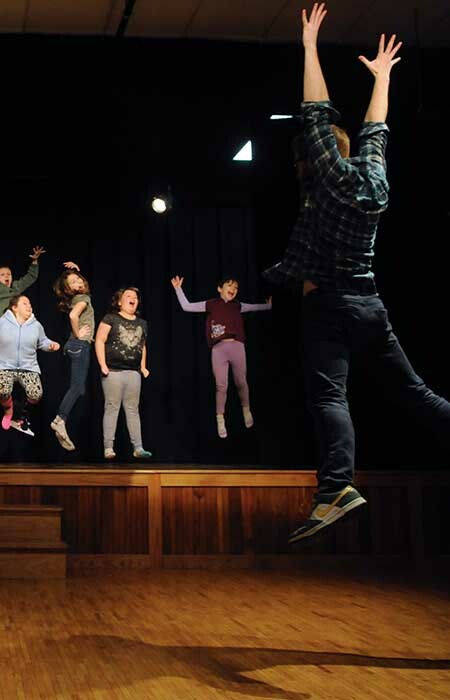 Johnson Hall’s SPARK Beginner’s Camp launches campers into the world of theater. 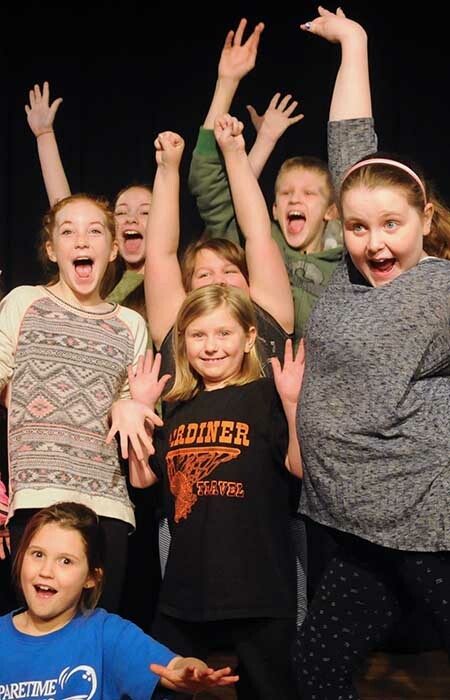 Campers will have fun exploring a wide variety of theater techniques and skills like miming, dance, improvisation, character work, voice training, juggling, sketch comedy and so much more. 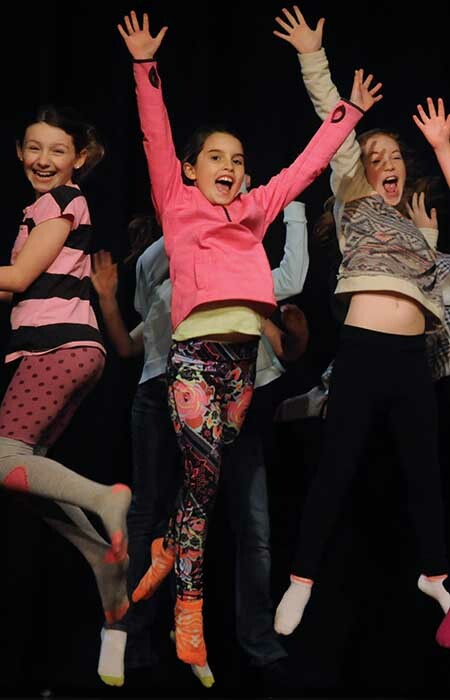 Beginner’s Camp also includes the fundamentals of the stage from stage direction to teamwork to vocal projection. Campers will have great fun while learning how to present and perform. The week will culminate with a variety show filled with newly learned skills for friends and family. Utilizing the basic skills taught in Beginner Spark Camp troupers will delve into the process of writing, creating, and performing a show. While the performance in Beginner Spark Camp is a fun showcase of skills and exercises, The Creation Lab show will go deeper and give troupers the opportunity to write sketches, develop characters, and choreograph original movement pieces. The Creation Lab will also incorporate the use of simple props and costumes and may even involve multimedia elements. And don’t worry, there will still be time for Impulse Ball and other fun games and activities! If you are a veteran of the Spark program the Advanced Workshop will offer new and challenging exercises that will further craft your skills as a performer. The Advanced Workshop is for troupers looking to take the next step in creative development. The week will be a much more academic approach to theater than the Creation Lab but will still be fun, fast-paced and hands-on. Over the course of the week, troupers will create dozens of original pieces and have the opportunity to pick their favorites to perform at the end of the week show. If you’re ready to get serious about performing, the Advanced Workshop is for you. Our programs would not be where they are today without the support of our sponsors and donors. Artists in the Schools is a program run by Johnson Hall for local schools. We provide schools with the opportunity to have professional artists perform at no cost to the school. Questions about any of our events or programs? Get in touch below.